This was a personal project, inspired by the Death exhibition at the Wellcome Collection. It is a pen drawing based on 19th century postcards featuring optical illusions. 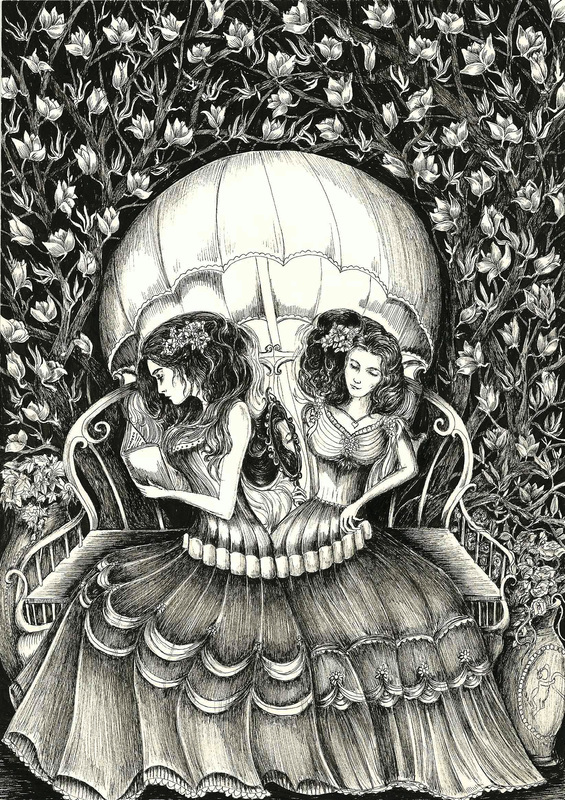 Here the two women seated on the bench also make up elements of a skull image.